With spring just around the corner a body scrub is essential to slough off all those winter layers to reveal soft, smooth, radiant skin. 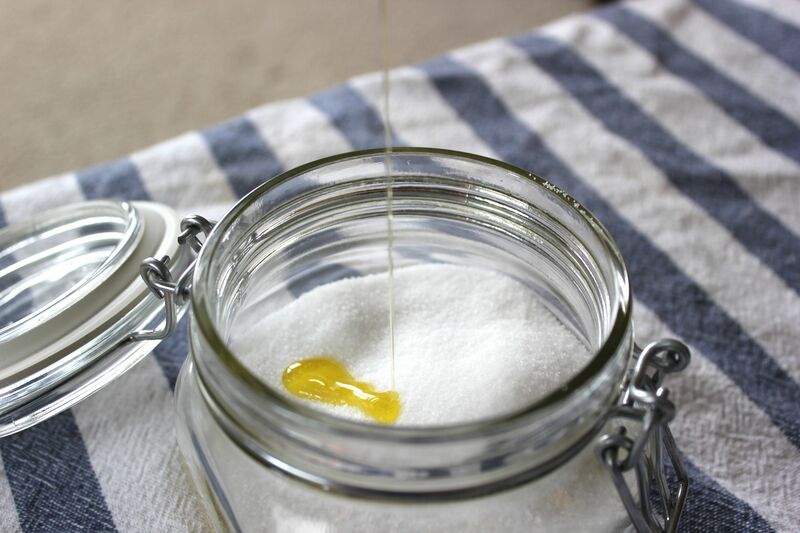 I’ve wanted to make my own scrub for a while and after a failed (and sticky) attempt with a honey and sugar recipe, I settled on this salt scrub. I love it since you probably already have all the ingredients…olive oil, sea salt and lemons… in your kitchen! Now, not only does the salt act a as fabulous exfoliant, it also has therapeutic properties that help with sore muscles and circulation. 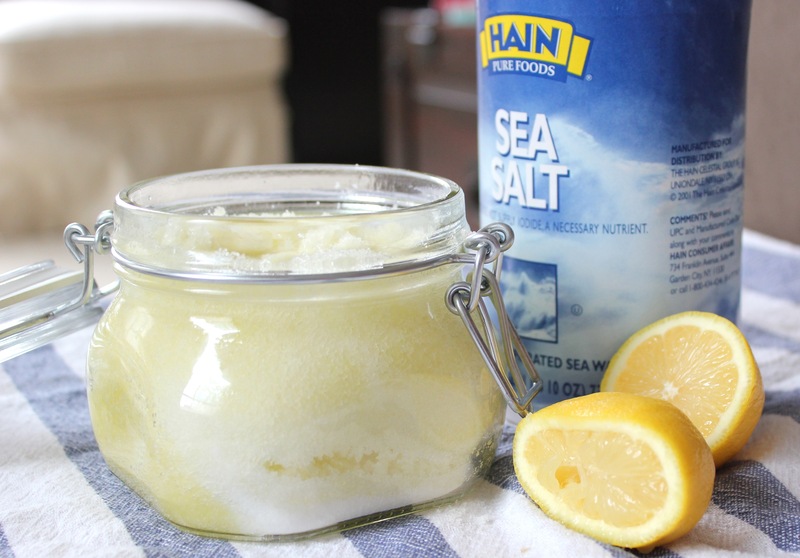 Salt’s also odor free, so the lemon adds a lovely citrus scent while the olive oil acts to soften and moisturize the skin. I like to scrub away on dry skin before taking a shower, after a quick rinse my skin is super soft, hydrated and glowing…just in time for spring! While the recipe calls for 5 tablespoons of salt I wanted to make a whole jar so I went with a cup of salt. You can use sea salt, or if you want to be indulgent you could try a course pink Himalayan salt. I also used less olive oil…just enough to moisten the salt and then squeezed in half a lemon. 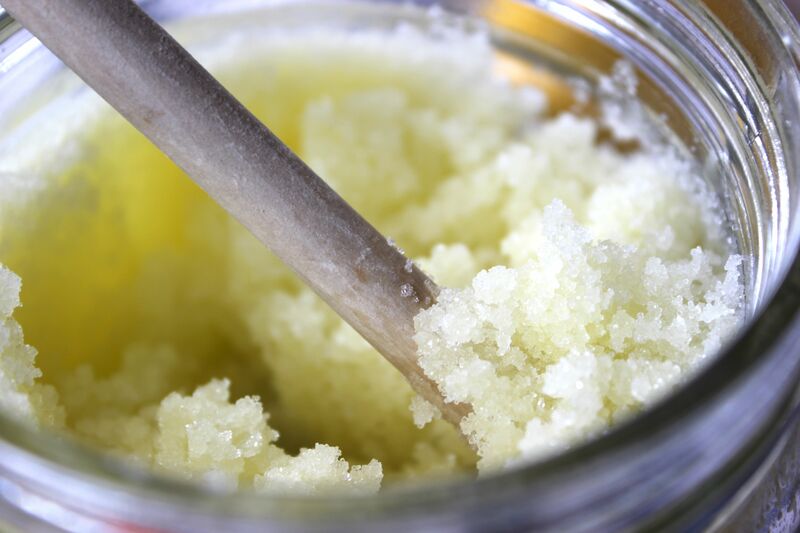 Voila… super easy and affordable, DIY, exfoliating body scrub!